Both of these teams go into their final game outside of the play-off spots but whoever wins this game will be in with a chance of making it to the knockout round. This is the first of three games taking place in Group B on Monday (at least in Rio, the final game takes place in the early hours of Tuesday morning for UK and European viewers). Whoever wins this game will quickly become a fan of someone else because one, or maybe even both, of the remaining games in the group will take on a standing of significant importance. After four games, Brazil are fifth and Nigeria are sixth, both standing with 5 points. The winner of the game will move onto 7 points while the loser finishes bottom. With Croatia in third and Spain in fourth, both of 6 points, getting to 7 points keeps the dream alive for the winner of this game. If Spain and Croatia both win their games later on in the day, the outcome of the Nigeria versus Brazil will be irrelevant apart from deciding the placing of the bottom two teams in the league. 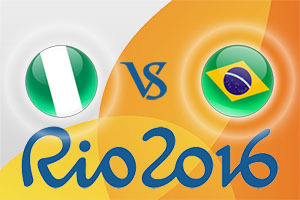 However, certain outcomes could lead to a lot of celebration for the winner of Nigeria versus Brazil. If Brazil win the game, their previous victory over Spain means that if Spain lose against Argentina, both Spain and Brazil will be on 7 points and Brazil hold the head to head advantage. If Nigeria win the game, their previous victory over Croatia means that if Croatia lose against Lithuania, both Croatia and Nigeria will be on 7 points and Nigeria hold the head to head advantage. If Croatia and Spain both lose, which isn’t completely out of the question, we’ll have three teams level on 7 points and the head to head will run as follows. This means that we could be in for a long night before we know what the outcome of the group is but regardless of how it ends up, both of these teams know that they have to go all out for victory. Brazil lost to bitter rivals Argentina in a heart-breaking manner which would drained the players and the home crowd. The end score was 111 – 107 in favour of the Argentineans and it took 2 periods of overtime to split the teams. Nenê may have signed for the Houston Rockets this summer but he was on hand to deliver 24 points in the defeat for the host nation. Nigeria achieved a huge win over Croatia in their most recent game and that is the score that could cause all the trouble if we end up in a tiebreak situation between Spain, Croatia and Nigeria. Michael Umeh grabbed 18 points in that win and that will give them plenty of confidence going into the final group game. You can see why Brazil are favourites, they’ll be at home in an electric atmosphere but the nature of both team’s most recent game will give Nigeria a boost. With this in mind, take Nigeria at +8, which you can find on offer at odds of 1.90. When it comes to the Over/Under market, look to go OVER 165.0 which you can find on offer at odds of 1.90. Bet Now! The Race to 20 Points sees Brazil listed at 1.46 while if you are looking for a half-time Brazil, full-time Nigeria result, you can find odds of 11.00. The game starts at 1815 BST on Monday 15th of August.